Swiss-American Louis Agassiz (1807-1873) trained as a doctor and scientist but devoted his life to zoology (particularly icthyology), paleontology, geology and he did groundbreaking work in glaciology. He was taught by and had close associations with Georges Cuvier and Alexander von Humboldt and became a (famous) leading scientist in America through his field work and his professorship at Harvard University among many other accomplishments. 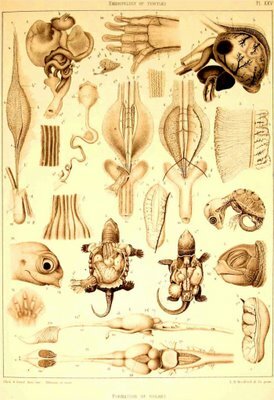 He was also the last eminent scientist of his day to resist Darwin's evolutionary theories - "I trust to outlive this mania". 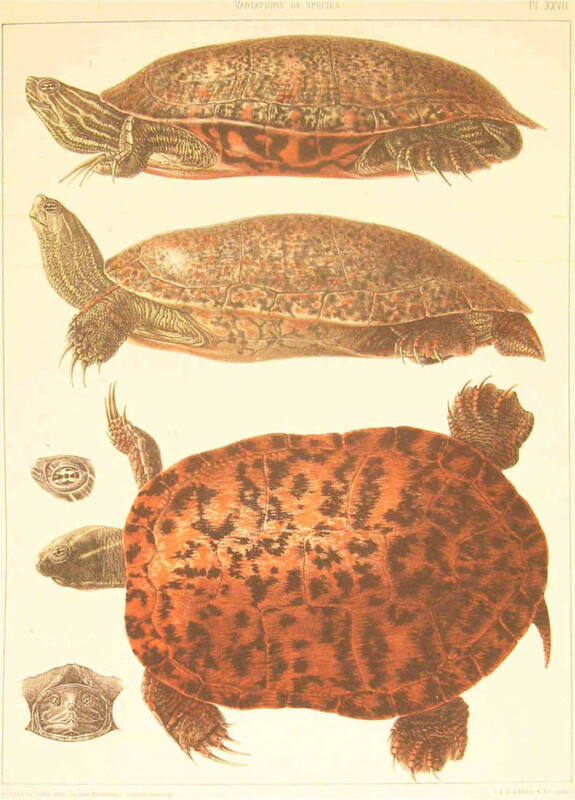 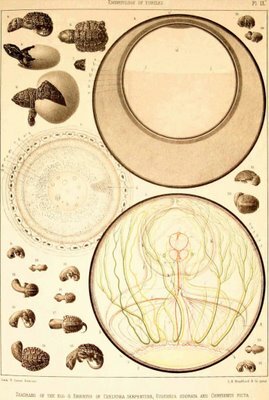 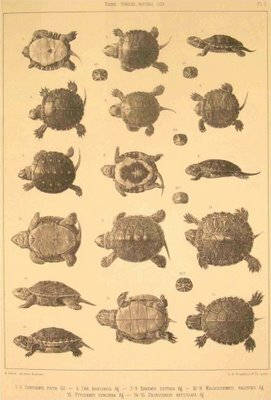 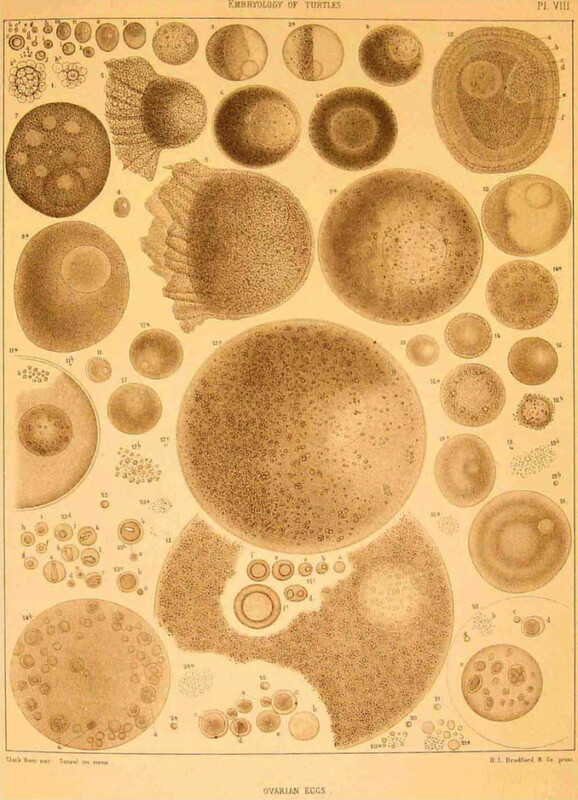 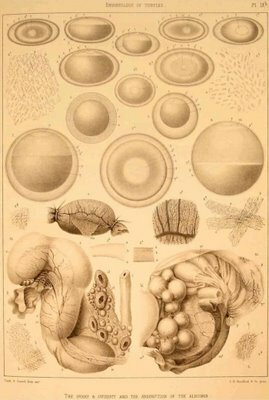 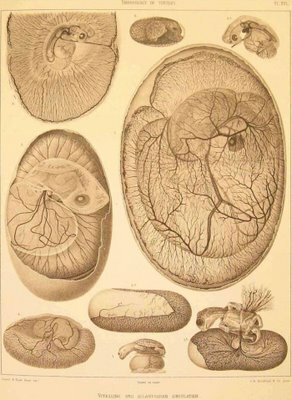 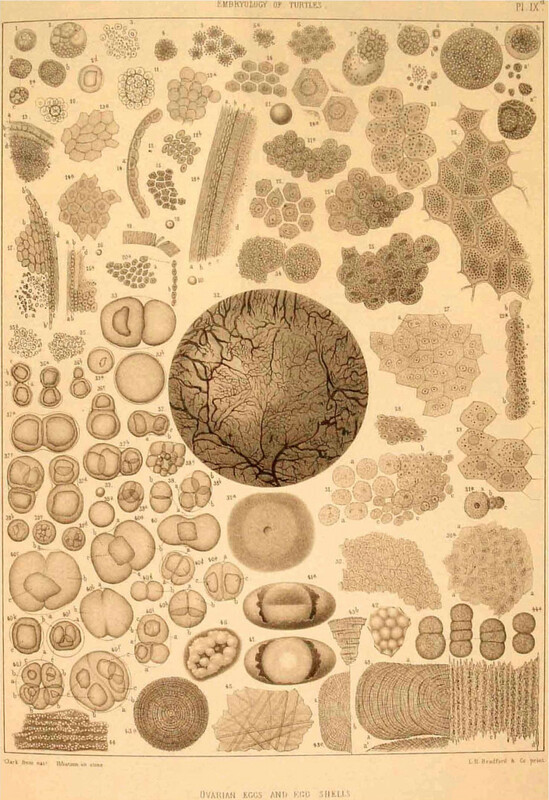 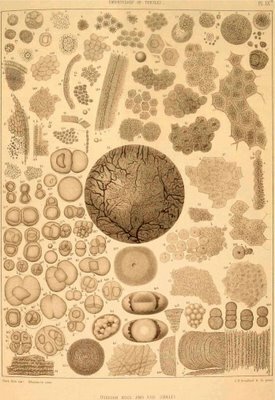 The images above come from the first two volumes of Agassiz' 'Contributions to the Natural History of the United States' published in 1857, online at 19thcenturyscience (the plates are at the bottom of the page). 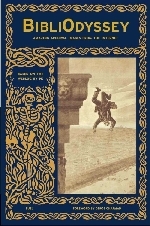 I'll post some more from the other volumes later. 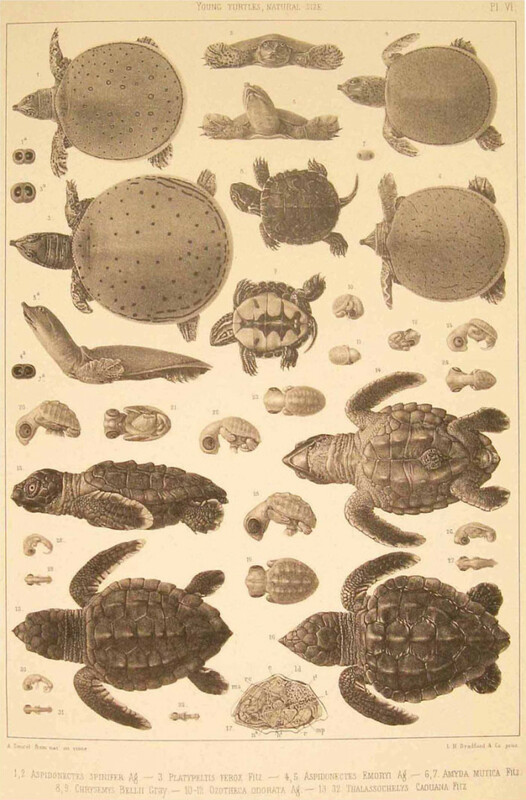 Louis Agassiz at the American Museum of Natural History; famousamericans and absoluteastronomy. 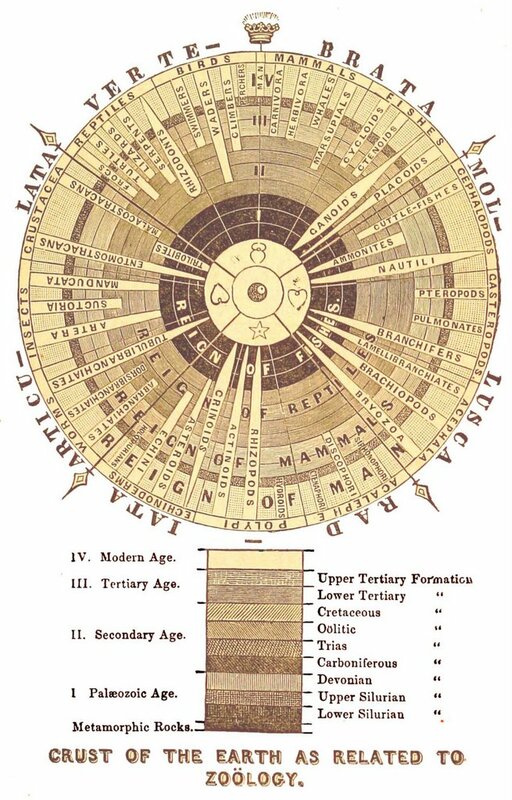 The image below (500kb jpeg) is a particularly interesting geozoological relationship diagram and comes from the 1863 book 'The Principles of Zoology' by Assiz and AA Gould. It has a large number of woodcut illustrations but from the sample of pages I viewed, they were quite small. 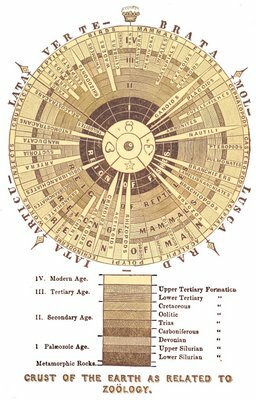 "Classification seems to me to rest upon too narrow a foundation when it is chiefly based on structure. Animals are linked together as closely by their mode of development, by their relative standing in their respective classes, by the order in which they have made their appearance upon earth, by their geographical distribution, and generally by their connection with the world in which they live, as by their anatomy. All these relations should, therefore, be fully expressed in a natural classification; and though structure furnishes the most direct indication of some of these relations, always appreciable under every circumstance, other considerations should not be neglected which may complete our insight into the general plan of creation."